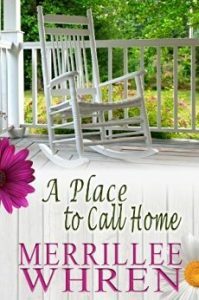 “A Place to Call Home” by Merrillee Whren is much more than your average romance story. As an avid reader of the genre, I would know. I’ve read hundreds upon hundreds of books in this category. On the surface it fulfills the necessary requirements, but looking at it on a deeper level reveals a story with a much deeper meaning. After the first few pages, I knew that “A Place to Call Home” would required a different set of eyes. 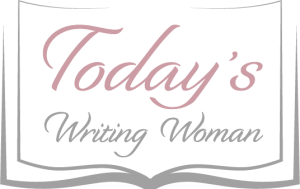 Given what I knew about the author, I decided to set aside my usual thoughts of romance. Gone was what I typically expected, and in its place was a story of inspiration, hope, forgiveness, and dare I say it…intrigue. I am not much for intriguing or mysterious story-lines. However, I found that reading the same format within a style gets old and boring. So, I decided to settle in and begin my journey. The main characters, Molly and Kurt, work on a renovation project and along the way they have to put their history behind them so that they not only finish the project, but also have a future with one another. They each are starting over which is never easy. Facing their past, each must convince the locals and themselves that what happened long ago has been paid for in more ways than one. While it was difficult for everyone to let go of the hurt, it was clear that faith was the only way it was ever going to happen. You will feel all of the emotions, from anger to joyful, as Merrillee Whren weaves a believable story of hope and truth in “A Place to Call Home.” Hopeful because both Kurt and Molly will find what they are looking for, and truth because it always wins out in the end. Unlike other romance stories, this one did not need the traditional romantic interlude. The love was built while the hero and heroine join forces in order to get the one thing Kurt has been focused on since before he met Molly.